JOLTIN JOE!!! 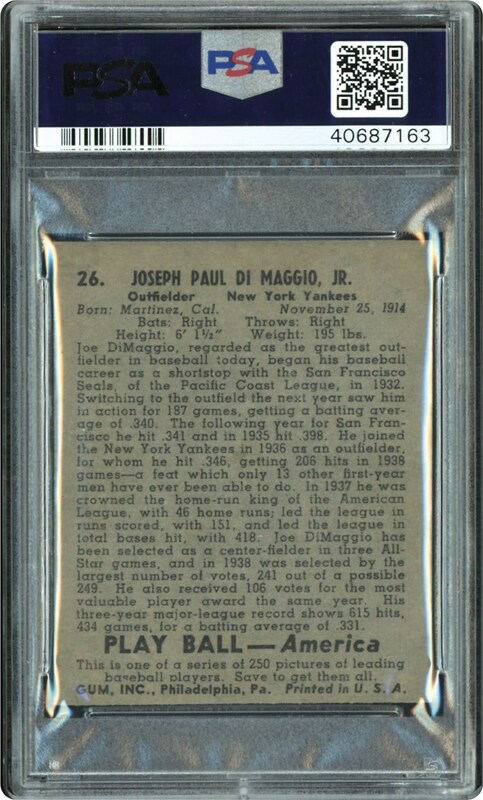 This 1939 Play Ball card of Joe DiMaggio has a grade of Authentic Altered. Looks strong, but we feel the Altered is based on the size of the card being slightly smaller. 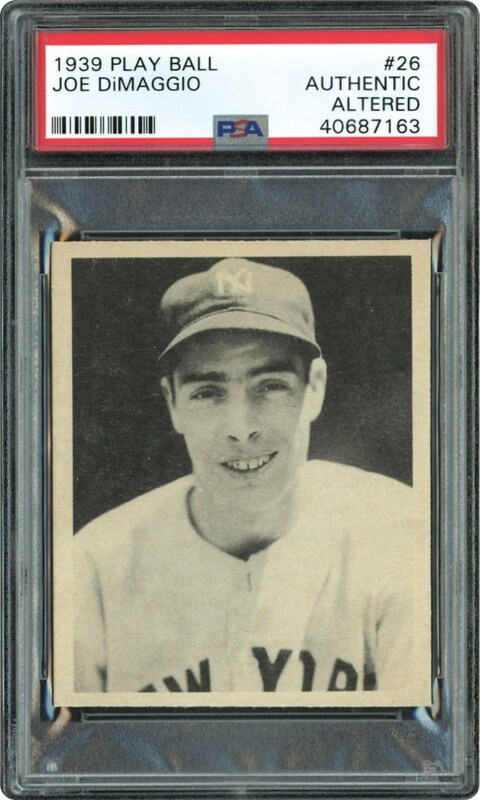 Authentic card of Joe DiMaggio offered here.